When you need to insure your vehicle, it can be confusing to figure out how much coverage you need and what types of coverage you need. In most states, by law, you need minimal coverage. However, this is usually not enough to actually protect you if you get into an accident. That is why insurance companies offer additional coverage options. The minimal coverage under most state laws is bodily injury and property damage. This liability coverage only covers other people and other people’s property if you get into an accident. It offers no coverage for you and your vehicle. The idea is to protect you should you be at fault in an accident and ordered to pay the other person’s expenses. Generally, liability insurance is given to you in a three-part ration, such as 25/50/15. The first number, 25, stand for how much bodily injury coverage you have per person. In the example, it is $25,000. The second number is how much total bodily injury coverage you have per accident. The example shows $50,000. The last number is the property damage coverage, which the example has at $15,000. Regardless of whether you get more coverage, every policy will include liability coverage. You can get more or less coverage. You should consider the average costs in an accident. If you don’t have enough insurance, you can be sued for additional money in most cases, so to protect your assets, you may want more liability coverage. Personal injury protection is like bodily injury except it covers you. If you have health insurance, then you generally don’t need PIP. Some states, though, do require it under the law. You can often get more information at sites like carinsurancecheap.net. Comprehensive and collision are often referred to as full coverage because when it is combined with liability, there is full coverage for you and anyone else involved in the accident. If you lease or have a loan, you are almost always going to be required to carry it. The comprehensive part of the coverage will cover things that aren’t related to accidents, like a tree limb falling on your car or flood damage. The collision coverage will pay for damage to your vehicle. In general, if you have a newer vehicle, it’s a good idea to get this because any major damage is going to be covered. For older vehicles, it often doesn’t pay to get this coverage because your vehicle is likely not worth as much as you will end up paying. You may be better off putting the money back each month in a savings account to go towards any repairs or replacement. This usually goes along with PIP because it will pay what PIP won’t when it comes to medical bills. In some states, PIP only covers a percentage of costs, so in that case, medical payment coverage would covering the remaining percentage. However, if your PIP is 100 percent or you have good health insurance, then you probably don’t need this coverage. Uninsured and underinsured coverage protects you if you are in an accident with someone who does not have insurance or has too little insurance. This will pay for your damages and injuries. This is highly recommended because even though most states have mandatory insurance laws, there are still drivers who aren’t covered. In addition, if someone doesn’t have insurance, the chances are really good that they won’t be able to afford to pay what they owe you if they are at fault in an accident. 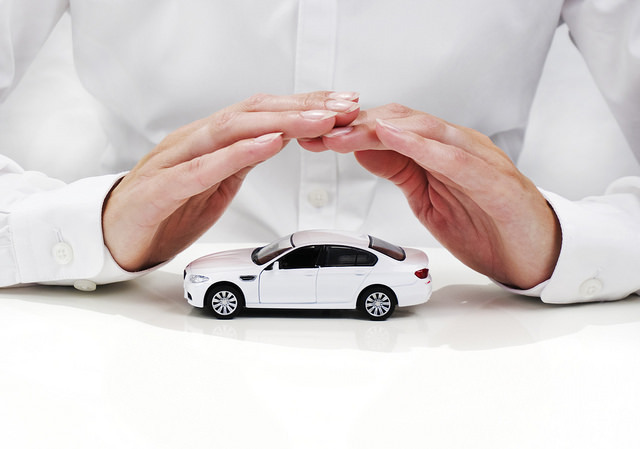 Most insurance companies offer additional options on your car insurance. Typically these are only available if you have comprehensive and collision, but some companies may offer them to everyone. You can get towing coverage, which will pay for towing related expenses. If you have roadside assistance either under your car’s warranty or through a company, then you don’t need this coverage. Another common option is rental car reimbursement. This covers you for a rental if you can’t drive your car due to an accident. This is totally up to you. It usually doesn’t add a lot to a policy, but not everyone needs it. When it comes to choosing what type of insurance coverage you need, there is a lot to think about. It can be tricky to figure out what you actually need. Just consider your personal situation and what would work best for you if you were in an accident.